Sometimes, its rainy and the day is weird and everyone is in a moooood- sometimes those days happen on a Tuesday, in NYC and you have the whole week to get through and need a little pick me up! Other times, you are walking in the clouds, and when you look down, you see not everyone is as cheerful as you are, and you just want them to be! So, how about we do our parts and try to turn that frown upside down, whether it be your boss, neighbor or bestie, everyone needs a little message of encouragement once in a while! Alright, start thinking what you want your message to be. While you are thinking, click here to download the coin envelope template. 1 / Print out the template. Lay it down on your paper and trace around it with your pen or pencil. Carefully cut out the shape and fold at the lines indicated on the template. 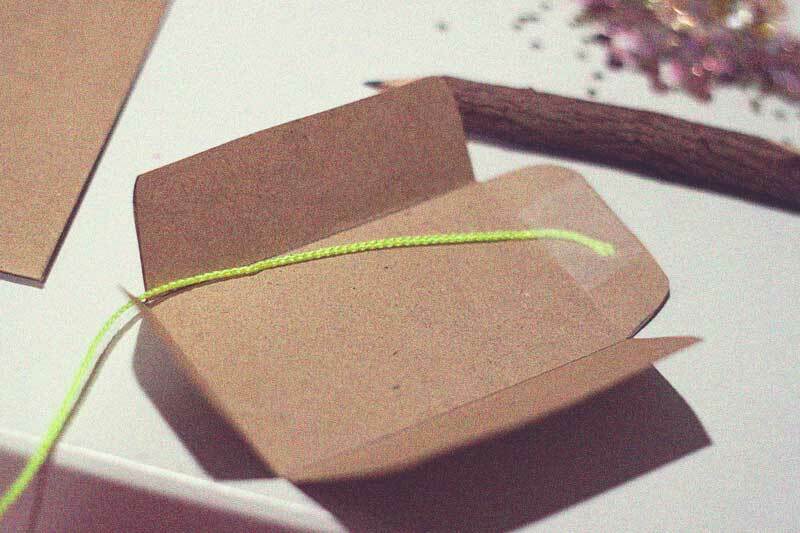 2 / With a small piece of tape, attach one end of your string onto the inside of the smallest flap, as pictured above, and pull the string the length of the envelope (so when you close it up it is hanging out!). ... and then fold the outside two larger flaps in, so that the wider one is on the outside of the envelope. Use your glue to affix the flaps to each other. Set aside to dry! 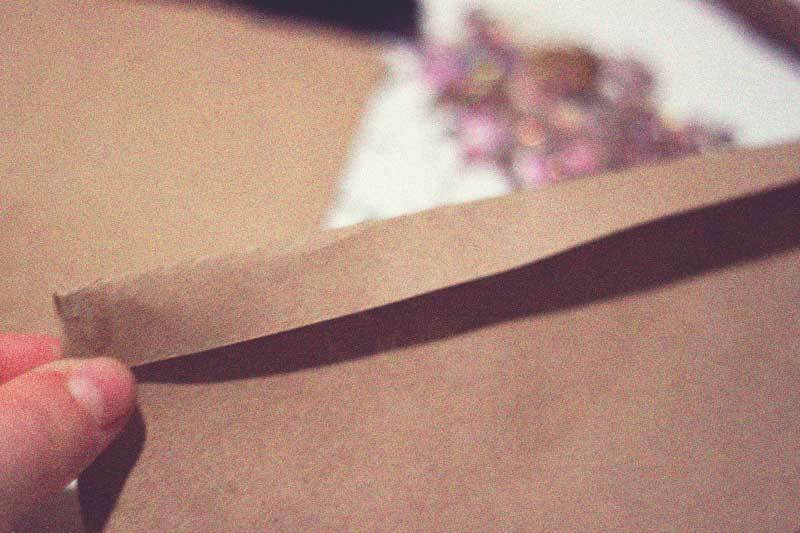 4 / While your envelope is drying, take the scraps of your paper, and fold the edge over a half-inch. 5 / Cut little bunting flags along the edge, like we did in the DIY Bunting Birthday Card. 6 / With your marker, write the message you want, with one letter on each shape! 7 / Fold the flags over your string, and close 'em up with your glue. Lay flat for a few to dry. Ga'head- Put your feet up, relax, you've earned it! While you're relaxing, check this adorable heart I ended my note with. Get fancy with it! Ok, back to work lazy-bones, you have a smile to put on someones face! 8 / Stuff the message into the envelope, and attach the end to the inside of the flap with a small piece of tape. Write "Pull Me!" with a little-cutsy arrow! 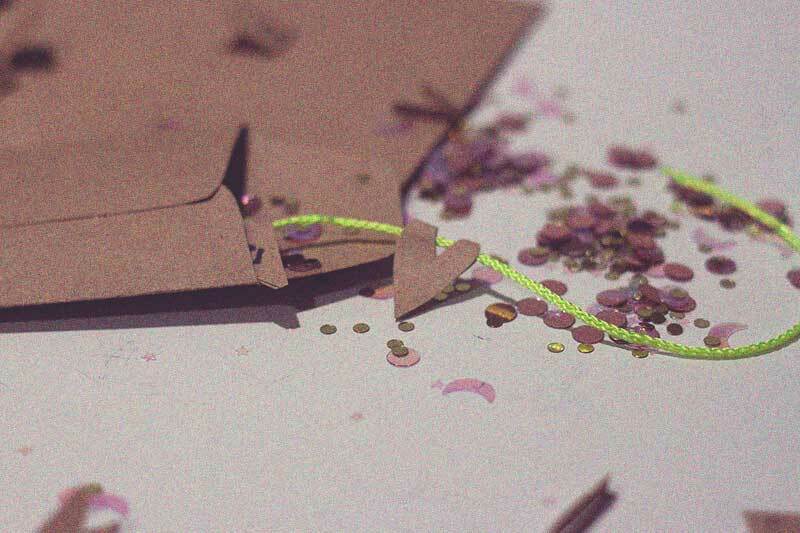 Optional- throw some confetti in the envelope. Why not!? Who doesn't love confetti; its kind of like not liking smiling and sunshine- amiright?! 9 / Close the coin envelope up and tie a cute lil bow around it! Now you have a special little message you can carry around in your little purse or pocket and leave for someone to make their day. You could write "I LOVE YOU!" or "THANK YOU!" or "LET'S MAKE OUT!" or "YOU'RE THE BESTEST!" orrrrr orrrrrrrr orrrrrrr anything you think you can stuff in this bitty-teenie-weenie treat! Who are you going to leave one for?